I am now the proud owner of a kindle. And while I haven’t downloaded my first book yet, I can’t wait to fit my kindle in its little protector and fit it into my handbag instead of having to lug an extra bag each day for whatever weighty tome I am currently reading. It won’t be the end of buying physical books for me. But it will be the start of a whole new experience. Instead of reading about a book and then either having to wait to go to a bookstore or wait for Amazon or the Book Depository to deliver it to me weeks later, I can get what I want instantly. Now that is cool! The only thing left to do is to decide what my very first e-book should be. Have you got a kindle? What’s your experience with it? I don’t, I’m firmly anti-Kindle! While I know my shoulder might appreciate me not having to carry a book around all the time I just love books too much! 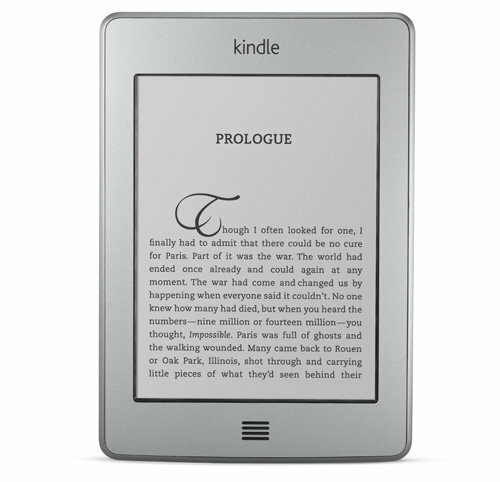 Every book has a different look, feel, smell and an e-reader just homogenises all that variety which I think is a great shame. Also I spend too much of my day staring at a screen as it is, I think my eyes like having a break!